Last week I whipped up a quick burlap runner for our new table. I wish I had done my homework and made the fringe twice as long, but I still like the way it came out. 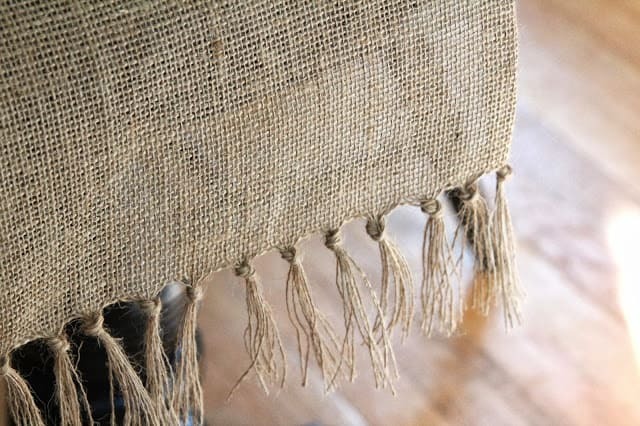 I love burlap for the fact that it’s natural and adds texture to a table, plus it’s super inexpensive! 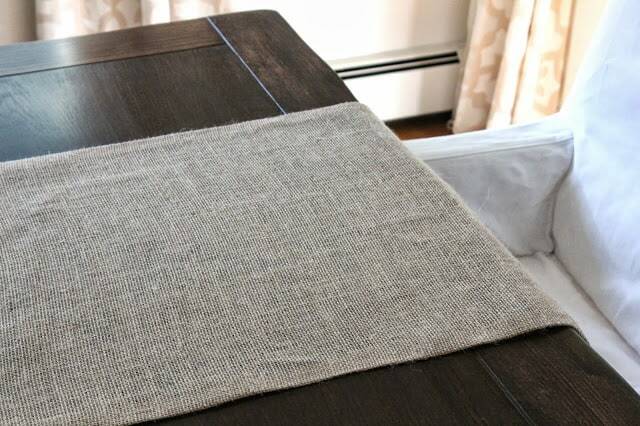 For this no-sew version I cut the burlap yardage to the width I wanted, plus 2″, and then just folded over the sides and ironed on fusible hemming tape to create a finished edge. Then I pulled out about 4″ of threads from the ends, and gathered 10 of the horizontal threads at a time to knot them into fringe. 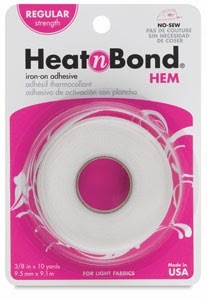 Very easy for those of us who are scared to death of the sewing machine beast! 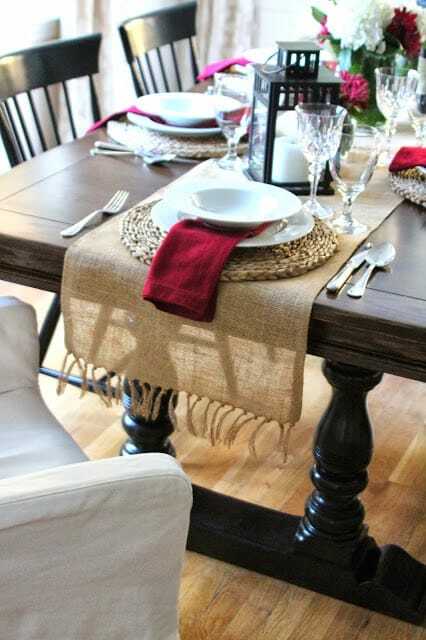 I love that the burlap runner was a good base for my Harvest Dinner, but can also be really casual for everyday meals. My hydrangeas that are blue in the summer bloom in green, purple and garnet shades in the fall; I just can’t get enough of them!! 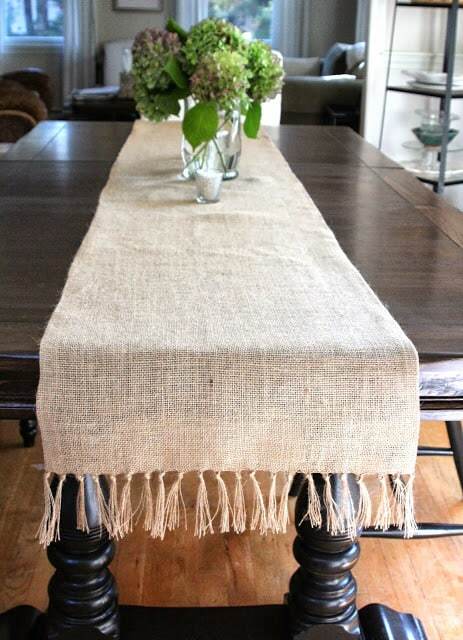 For a great tutorial on properly sewn fringed table runners, visit Cottage and Vine. I wish I had read this before embarking on mine but I was in a day-of-event frenzy and just winged it! Typical Lisa. Have a great week ahead my lovelies! Lisa – it turned out great! I love that it is a no sew project. I am scared to death of my sewing machine! The perfect simple touch! I love the fringe as is! I'm actually in need of one of those. Thanks for the inspiration! 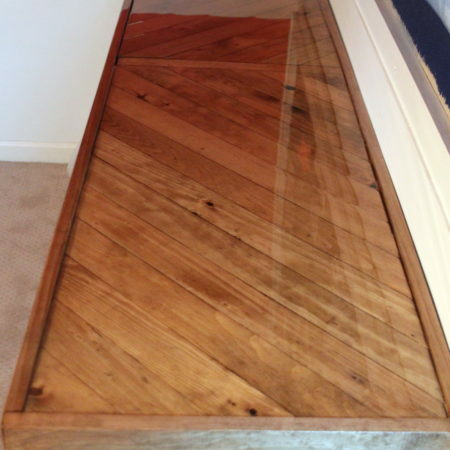 What a wonderful project for your new Dining table Lisa!!!! I'm no sewer so anything that has No-SEw in it, I'm in! 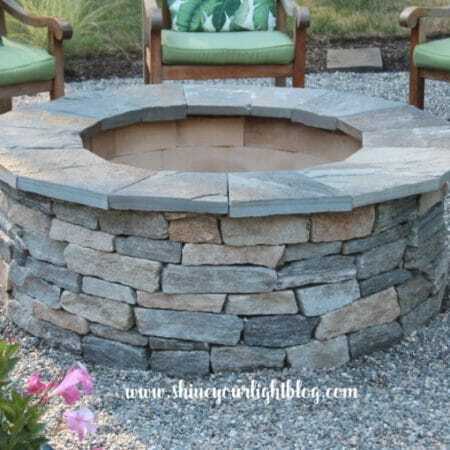 Gotta try this someday dear, thanks for the inspiration! Sewing machine beast..hee hee…that's how I see mine! Love how your knotted ends make it all nice and pretty. I think your runner looks fantastic, Lisa. Love the little fringe detail at the ends especially. I so wish I had learned to sew when I had the chance. Wow I love it! And it's Perfect for Fall!! 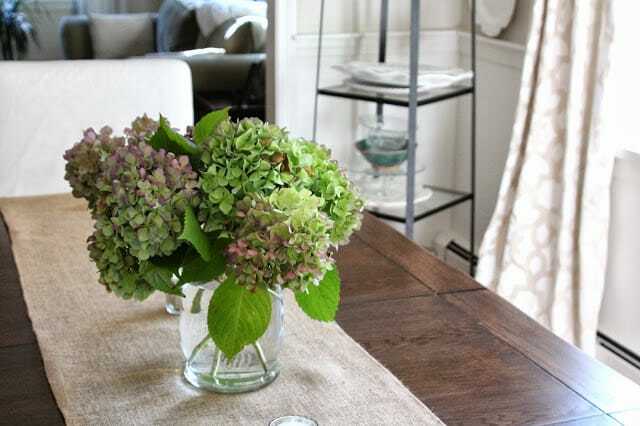 Love it – may have to do that for our dining room table because the runner that I had for the table in our old house doesn't fit anymore after having to take a leaf out. Love that it's no-sew because my sewing machine and I are not the best of buds! I love this. So simple, but just the right texture for your new beautiful table. oh I love this!!! Just what I need for my dining room.